Designed to meet the new ILSAC GF-5 and API SN specifications. 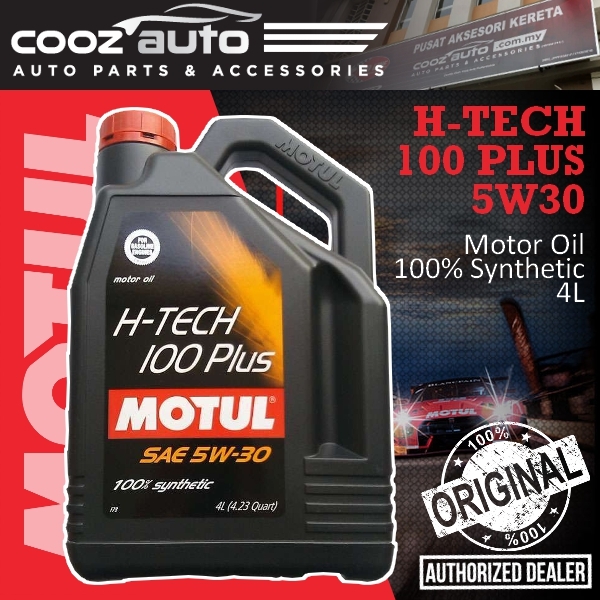 Provides exceptional engine protection and at the same time even more efficient operation. Improved fuel economy and greater power when compared to more viscious products. Formulated with latest technology to ensure emission control systems dureability. The high performance anti-wear additive results in reduction of engine internal frictions and increases engine life duration by reducing wear. 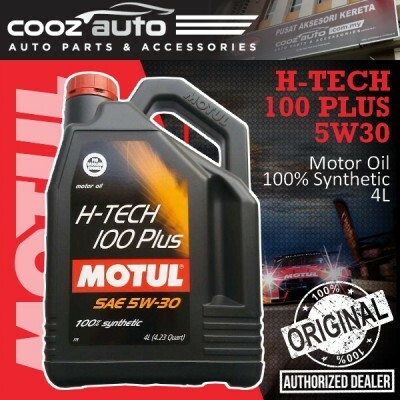 Motul H-TECH 100 Plus 5W30 is a 100% synthetic engine lubricant designed for fuel economy performance and to provide ultimate levels of power especially for recent gasoline engine designs. Can also be used on diesel engines requiring API CF oils. Suitable for turbo or naturally aspirated gasoline engines, equipped with catalytic converters. Suitable for all gasoline engines using leaded or unleaded gasoline, LPG, autogas fuel. Compatible with E85 fuels. Works well under all driving conditions: city, road, highway.